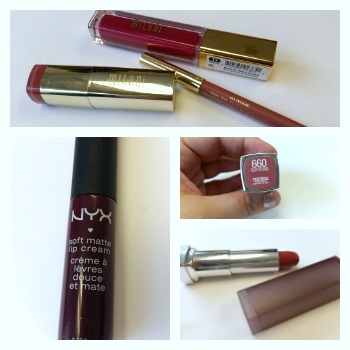 The above are definitely my go-to lippies when I'm looking to run out of the house. I've recently also been reaching for the Milani Amore matte lip cream. NYX has the widest selection of colors and it has some serious staying power. 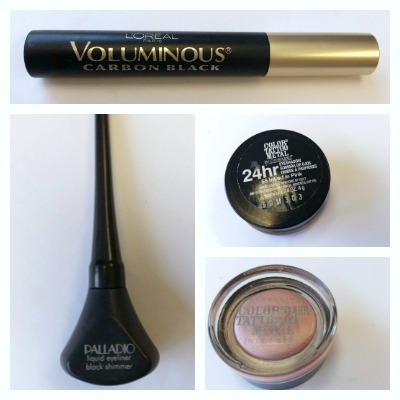 I love using the Illuminating powder to set my undereye - it's really brightening and it helps disguise my dark circles. I'm also on my second tube of e.l.f. BB Cream in Light Beige. 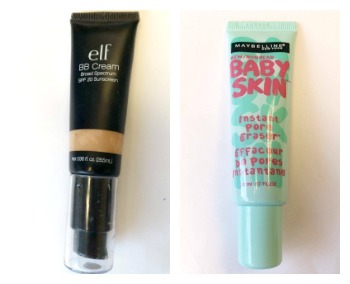 The Maybelline Baby Skin helps make any and all foundations/BB creams go on smoothly. This mascara is probably the blackest mascara I've ever used. It has a tendency to smudge, but that still doesn't stop me from loving it. Palladio liquid liner has been a mainstay for me for like 5 years now, I seriously think this is my 3rd one at least. Other liners come and go in-between, but I always find myself going back to this one. Maybelline color tattoos - need I say more? It now comes in even easier stick form and I have it in multiple colors but tend to lean towards the pink color for neutral everyday wear. Nice post! 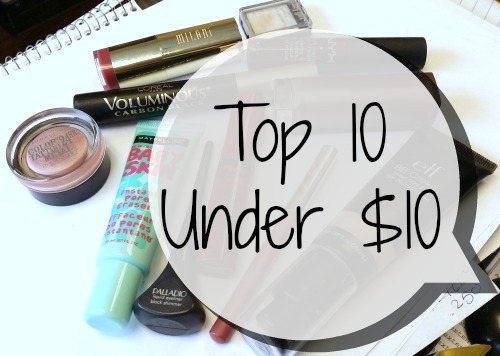 I love inexpensive drugstore beauty product posts. How do you like the BB cream? I have sensitive skin, but looking for one that my skin agrees with. Light/heavy?